Is Now the Time for Combination Therapies for Alzheimer Disease? 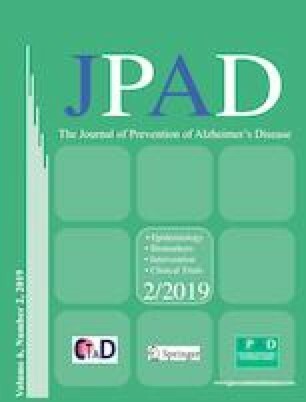 In this issue, Gauthier and colleagues from the European Union-North America Clinical Trials in Alzheimer Disease Task Force (EU/US CTAD Task Force) provide a compelling argument for the implementation of clinical trials in persons with Alzheimer disease (AD) dementia that utilize combinations of experimental anti-Alzheimer therapies (1). The rationale for combination therapy in AD rests on the appreciation that AD pathophysiology is complex and involves many pathogenic pathways (2). The EU/US CTAD Task Force recommends that combination therapies should include therapies that target various aspects of the process wherein amyloid precursor protein undergoes proteolytic cleavage to produce amyloidogenic peptides. That anti-amyloid monotherapy alone is insufficient to provide clinical benefit with AD dementia has been underscored once again by the recent decision of Biogen and Eisai to discontinue Phase 3 studies of aducanumab, a human monoclonal antibody that targets aggregated forms of amyloid-beta, because futility analyses indicated that the trials were unlikely to meet their primary endpoint (3); similarly, Roche has announced discontinuation of trials of crenezumab (4). The EU/US CTAD Task Force nonetheless recommends that therapies that target amyloid-beta should be considered for inclusion in combination clinical trials in AD dementia, given the preponderance of evidence that disruptions in amyloid-beta production, clearance, or processing are very likely to be involved with, or even initiate, AD pathogenesis (5). What targets beyond amyloid-beta should be considered for combination trials in AD? The Task Force suggests that a number of pathologies may be candidates, including tau, synuclein, inflammation, and vascular damage. All are reasonable to target, but with the exception of molecular imaging using amyloid-beta and tau radioligands with positron emission tomography or assaying the cerebrospinal fluid concentrations of these two proteins, the absence of validated biomarkers for the co-pathologies limits the ability to assess their contributions to dementia, much less to confirm target engagement by therapeutic agents. Another potential limitation is the lack of knowledge as to whether Alzheimer pathogenesis, and hence the disease mechanisms to be targeted in combination therapies, is identical for all racial and ethnic groups (6). The Task Force encourages the development of combination trials of AD, even in the absence of any mechanism-based therapy with demonstrated efficacy and safety that would permit evaluation of the potential added benefit of add-on therapies. The Task Force also recommends consideration of combination therapies in individuals with preclinical AD, either with anti-amyloid-beta agents that target different steps in the amyloidogenic pathway or with anti-amyloid and anti-tau drugs. This recommendation is based on the premise that such approaches, initiated before the Alzheimer pathophysiological process has produced widespread synaptic and neuronal loss, may have a greater opportunity for therapeutic benefit than waiting to initiate these agents after irreversible cerebral damage has occurred and caused symptomatic AD. However, much must yet be determined (e.g., timing of the intervention; duration of treatment; safety profiles of the agents to be administered to cognitively normal persons) before such prevention studies can be contemplated. The EU/US CTAD Task Force has admirably focused attention on combination therapies for AD. Such therapies should be considered, given the consistently negative and disheartening results from Phase 3 studies of monotherapies for AD. However, combination trials will be much more likely to be developed when there finally is an agent with demonstrated efficacy. The Dominantly Inherited Alzheimer Network (DIAN) Trials Unit (TU) secondary prevention trial, incorporating two treatment arms with the monoclonal antibodies solanezumab and gantenerumab that target amyloid-beta, in individuals from families with autosomal dominant AD (7) completed enrollment and randomization in 2015; analyses to determine whether cognitive benefit was achieved should begin before 2021. Positive results from DIAN-TU or from other current prevention trials in preclinical AD (8) will clearly accelerate efforts to begin combination trials in both preclinical and symptomatic AD. Biogen and Eisai to discontinue Phase 3 ENGAGE and EMERGE Trials of aducanumab in Alzheimer’s disease [press release]. Cambridge, MA: https://doi.org/media.biogen.com/news-releases/news-release-details/biogen-and-eisai-discontinue-phase-3-engage-and-emerge-trials, March 21, 2019. Roche to discontinue Phase III CREAD 1 and 2 clinical studies of crenezumab in early Alzheimer’s disease (AD) — other company programmes in AD continue [press release]. Basel: https://doi.org/www.roche.com/media/releases/med-cor-2019-01-30.htm, January 30, 2019.